I like it when cards get a little ostentatious, going the extra mile to make a silk purse out of a sow's ear, as the saying goes. Let's say you can only print in one color on white. Any other year, you might seem cheap, but that's no problem in 1976! America! The bicentennial was all over the place for 1976, hence the stars and stripes and bunting borders for Caruso's PCL team sets. Barack Obama would've been 15 and living in Honolulu at the time, so it's not beyond the pale to think president #44 saw this set for sale at an Islanders game himself. The Islanders played AAA for San Diego, who drafted Dave Roberts first overall in 1972. 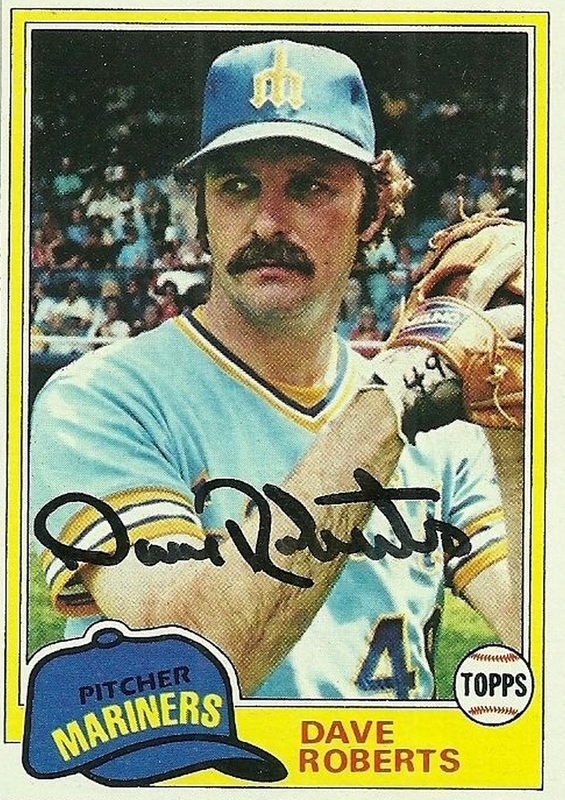 While never a star, he played long enough to overlap careers with another Dave Roberts, hence my confusion as an 8 year-old when these came around. Being a kid in Seattle, this was "my" Dave Roberts. 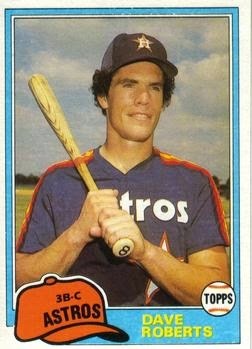 The "other" Dave played in Texas. 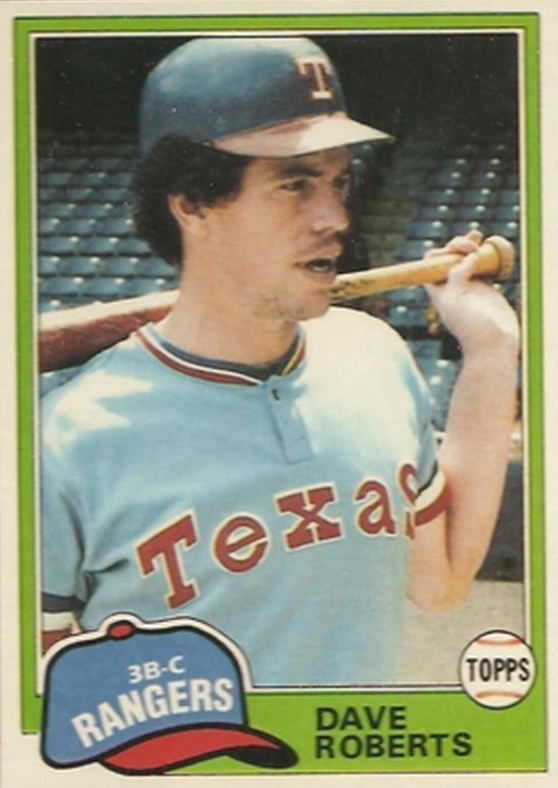 Topps didn't stop there, because "other" Dave switched Texas addresses during the 1980-81 offseason. UPDATE: Enjoy even more Dave Roberts in my 1977 Hawaii Islanders post. This time, there's video of Dave's only post-season appearance, as he pinch-hit with two outs in the ninth in the deciding game of the 1981 NL Division series. Value: As of writing, this #5 lists for $8 on eBay, a little higher than I'm willing to go for minor league type cards. Teams from this era cost $15-25, since Caruso-made sets rarely include a major star. Fakes / reprints: Haven't seen reprints in the marketplace, as Caruso's PCL sets are obscure and inexpensive enough to discourage the requisite investment of time.